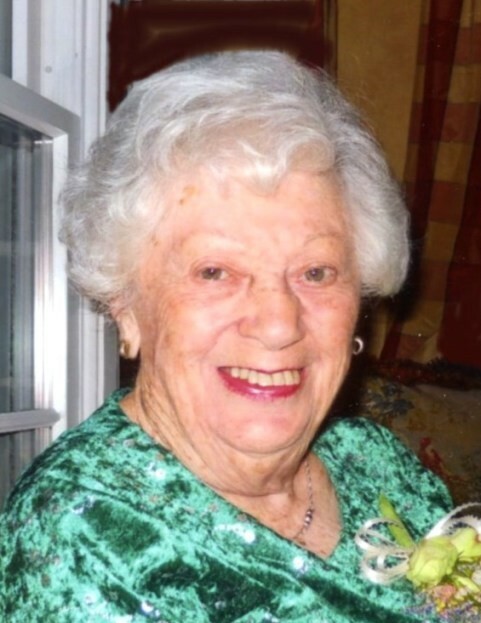 Mary Stebenne (Procaccini), 98, of Providence, passed away peacefully on Sunday, March 31, 2019. She was the wife of the late Timothy Stebenne. Born in Providence, she was the daughter of the late Antonio and Concetta (DeLuca) Procaccini. Mary was a merchandiser for American Greetings Card Company for 15 years before retiring in 1999. She had previously worked as a telephone recorder for Western Union in Providence and as a clerk for Hornblower & Weeks Brokerage Firm. She is survived by many nieces and nephews. She was the sister of the late Gerald, Thomas and Rose Procaccini, Phyllis Calise and Louise DeFrancisco. Visitation will be held Thursday Morning, April 4, 2019 from 8:15 to 9:15 a.m. in the MACERONI FUNERAL HOME, 1381 Smith Street, North Providence, followed by a Mass of Christian Burial at 10 a.m. in St. Pius V Church, Eaton St., Providence. Burial will be in St. Ann Cemetery, Cranston. In lieu of flowers, donations in Mary’s memory may be made to: Rhode Island SPCA, 186 Amaral St., East Providence, RI 02915.